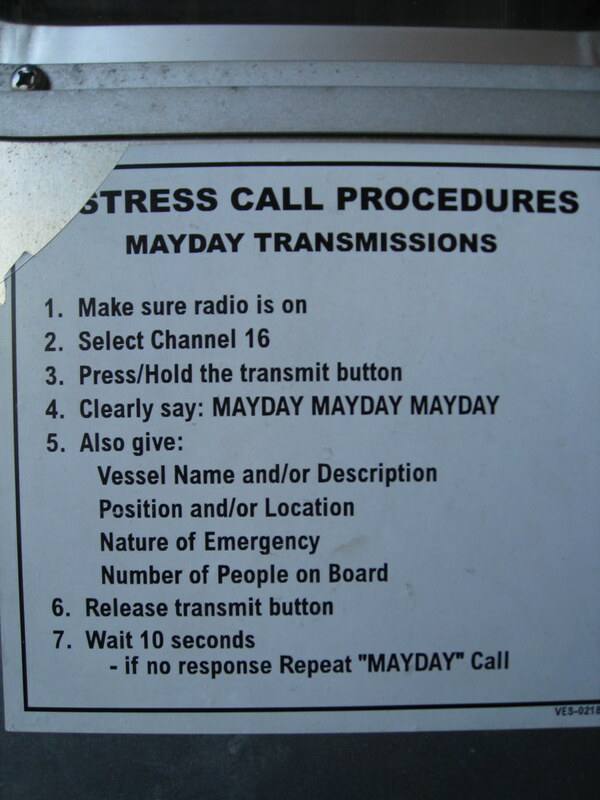 It’s so comforting to know that in times of imminent danger, our stress call will require seven careful steps. I saw this sign posted on the Governors Island Ferry when heading back to Manhattan after a nice birthday picnic in the park. You may recall that New York City has had some ferry trouble in the past, so it was a bit disconcerting to discover that there isn’t just a big red telephone aboard these ships in the event of an emergency. What happens if you’re in a panic and you don’t follow the appropriate procedure? Despite the seriousness of the usability issue here, I was tickled to see that step #1 is to ensure that the radio is turned on — having worked as tech help for two years in college, this is what I call a classic. I also wonder if stress is what caused the top left of the Plexiglas to crack off.